You are here: NECAOnline.com » Blog » News And Announcements » Cake is NOT a Lie! NECA’s new Portal collection begins with the Companion Cube! Trust us, when you’re playing as Chell, racing through the Aperture Science Enrichment Center, being chased down by the artificial intelligence known as GLaDOS and managing to escape through physics-defying teleportation — you want a Companion Cube. Without it, Portal just isn’t Portal, and without it, that cake is much harder to come by. 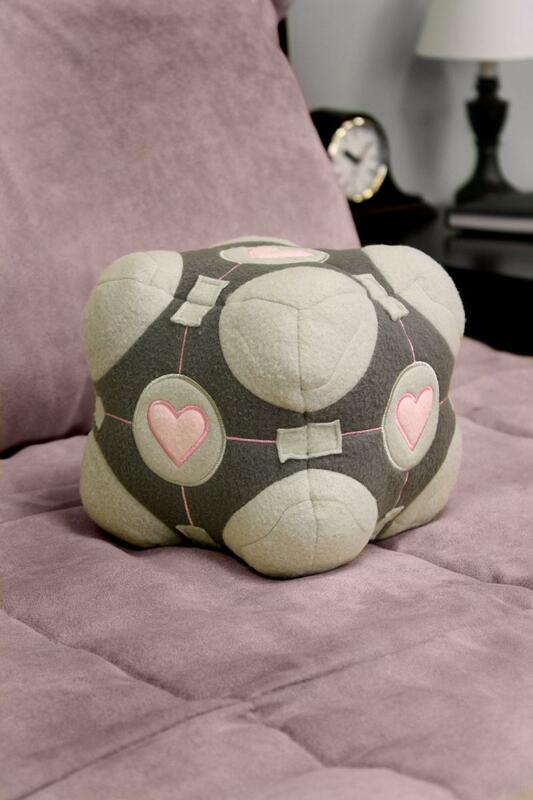 Recreating the Portal Companion Cube Plush, it now measures 6″ all around (“cubed,” if you want to be technical about it) and is the perfect accompaniment for anyone who’s had their mind blown by the Valve Corporation, be it the original Portal from 2007 or this year’s Portal 2. Honestly, you might want to use it as a pillow for when you’re done playing and need a nap from all the hyper-concentration. Portal‘s innovative approach to puzzle-solving made it an immediate icon in gaming, and NECA is thrilled to be partnered with Valve to bring you this and more Portal items to come. For more info on the Companion Cube, click here, and keep it tuned to NECAOnline.com for more from all your favorite movies, games and more! …Seriously though, that cake is a lie. But you can find it on Amazon.